Wall street thinks we’re subversive and even dangerous. Dangerous to their schemes, maybe. The dirty truth about income property is that it actually works in real life. Stocks? Bonds? Mutual Funds? Are you kidding? How many people do you know (not including insiders) who created wealth that way? Such options are for those who only want to pretend they’re getting ahead. For the rest, keep reading. 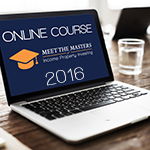 Would you like to peek behind the curtain of real estate investing and learn exactly how to make it work for you? With Creating Wealth in Today’s Economy, you hold in your hands at this moment a set of innovative, tried and true strategies that can deliver real returns based on what makes people rich in American (and around the world) today. If your dream of a better financial life is one of the millions that litter the sidewalks of Wall Street and other stock exchanges, either dead or on life support, take a deep breath and relax. Stocks and other non-direct traded assets are a losing game for most people. The typical scenario is, you make a little, lose a little, and spin your wheels for decades. Ever wonder why it’s like that? Years ago, multi-millionaire investor and educator, Jason Hartman, realized that the corporated crooks running the stock and bond investing game will always see to it that THEY win. That means, unless you’re one of THEM, you will not win. Jason Hartman’s answer is within the pages of this book. What is the average investor to do? First, undertand and accept that Wall Street is not an option. Put that out of your head. It’s that simple. Now what? How is a person to create the kind of life-changing wealth they crave like an ache deep in their bones? That’s where Creating Wealth in Today’s Economy comes in. In this straight-to-the-gut educational blitz, you’ll see you don’t need a college degree to replicate Mr. Hartman’s sizzling success with income property. It’s all in here. Everything you need to kick-start your own real estate portfolio. Shift from “Optimist to Opportunist” and become very wealthy. “Outsource” your debt obligations to the government. ROI: Some People Just Don’t Get It!